Castel dell'Ovo is a seaside castle in Naples, located on the former island of Megaride, now a peninsula, on the Gulf of Naples. The castle's name (in Italian, Egg Castle) comes from a legend about the Roman poet Virgil, who had a reputation in medieval times as a great sorcerer and predictor of the future. In the legend, Virgil put a magical egg into the foundations to support the fortifications. Had this egg been broken, the castle would have been destroyed and a series of disastrous events for Naples would have followed. 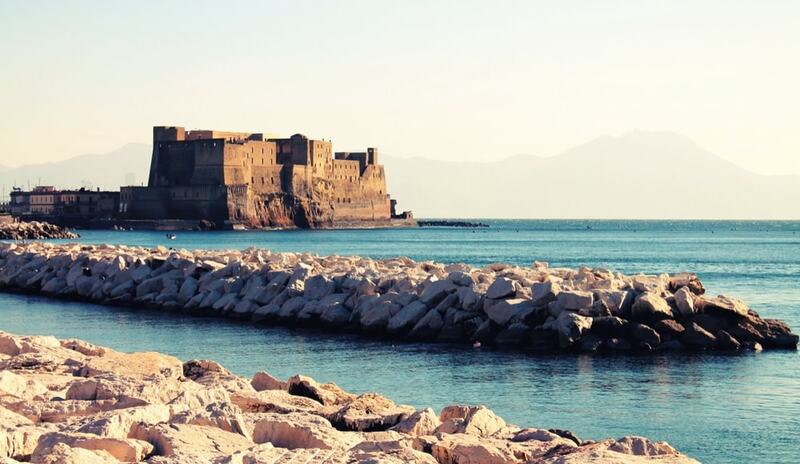 The Castel dell'Ovo is the oldest standing fortification in Naples. After a long period of decay the site got its current appearance during an extensive renovation project started in 1975.